Sesame Street is an American children’s television show, which was first aired way back in 1969. Since then it has show over 4250 episodes and is still one of the most successful TV shows on air today. 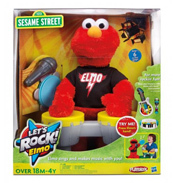 Sesame Street has dozens of fun and quirky character that provide humour as well as educational topics. The most well know characters have to me Big Bird, a huge yellow feathery creature, and the Cookie Monster. As the name suggests he loves to eat cookies! We have a range of products here at World Wide Shopping Mall, some of which are very popular, such as the Count ‘n Crunch Cookie Monster. 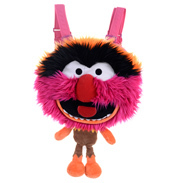 This hungry Muppet loves to munch up all the cookies, and he loves to count them too! As you put them in his mouth they will slide down a shoot into his backpack, so his greedy fun never ends! 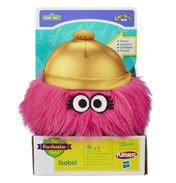 Another adorable critter is the Squeeze-a-Song plush toy. 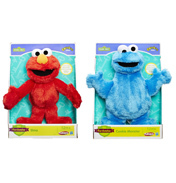 Choose either Elmo or the Cookie Monster, squeeze him and listen to their funny song! 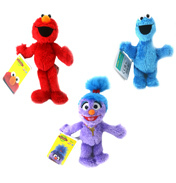 Get ready to learn and have fun with some of the quirky characters from Sesame Street!